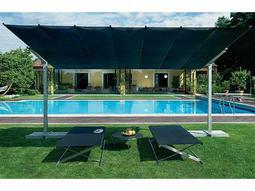 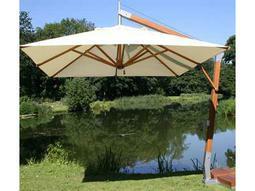 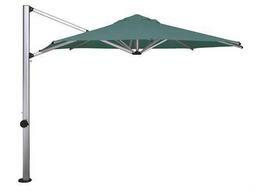 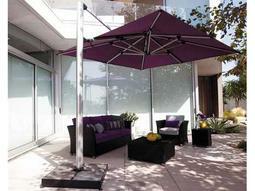 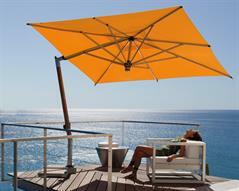 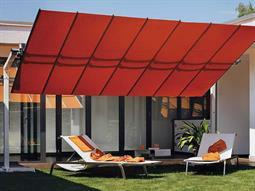 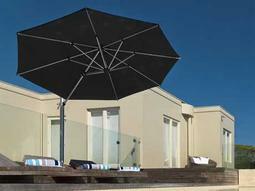 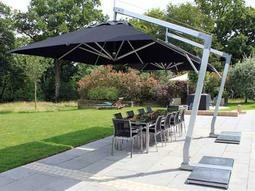 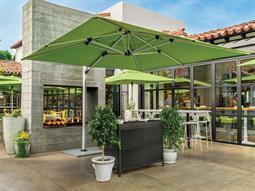 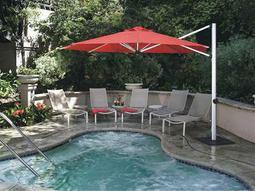 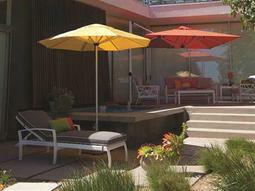 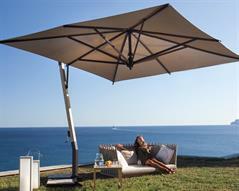 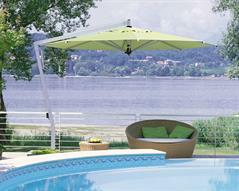 Offset umbrellas feature a unique shade design that displays an umbrella pole off to one side, rather than prototypical models which feature a centered pole. 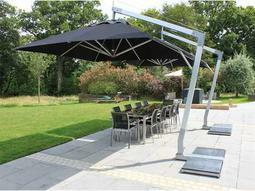 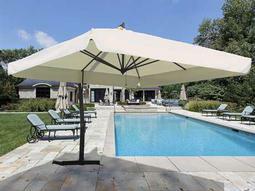 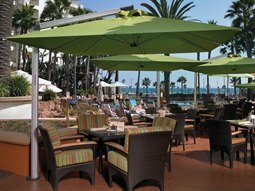 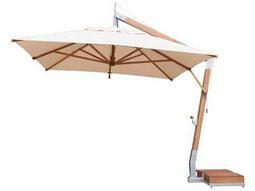 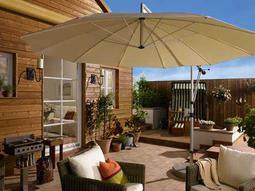 These types of umbrellas (also referred to as cantilever umbrellas) are versatile shade solutions that are best-suited for spaces that require no obstruction from a standing umbrella. 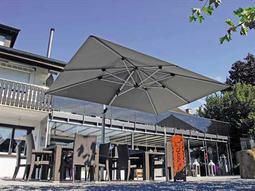 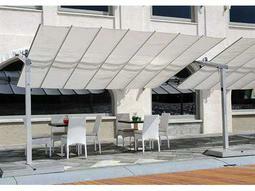 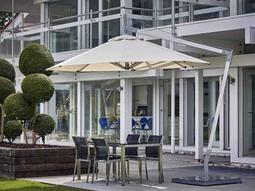 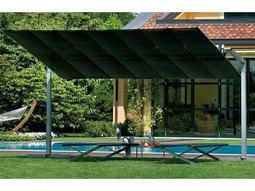 A commercial cantilever umbrella enables a wider variety of furniture arrangements to be conveniently shaded and protected from outdoor elements. 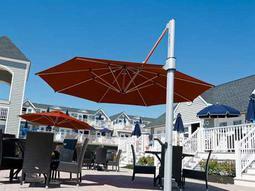 Guests seated at outdoor lounge and seating areas can enjoy an unobstructed view with the addition of these special umbrellas. 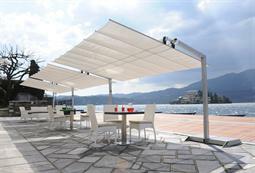 Thoroughly modern and contemporary, Commercial Outdoor offers a variety of models constructed from premium materials and fabrics so that your restaurant or hospitality space becomes an outdoor destination for visitors.